Contents: Chicken, mashed potatoes, cabbage, soup, drink. The salad looks more like beets than cabbage. 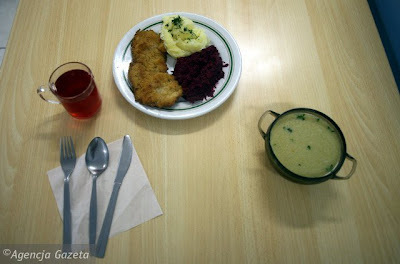 You'll find a similar lunch in Ukrainian schools.